Taking birth control pills for more than three years may increase a woman’s risk of developing glaucoma, a new study suggests. Glaucoma is a degenerative eye condition that damages the eye’s optic nerve and affects nearly 60 million people worldwide and is the leading cause of blindness, and affects more women than men. The findings were presented at the Annual Meeting of the American Academy of Ophthalmology in New Orleans and was conducted by researchers at University of California, San Francisco, Duke University School of Medicine and Third Affiliated Hospital of Nanchang University, Nanchang, China. The study examined data from more than 3,400 women aged 40 and older who took part in the U.S. National Health and Nutrition Examination Survey between 2005 and 2008, where participants gave information about their eye health and reproductive health. 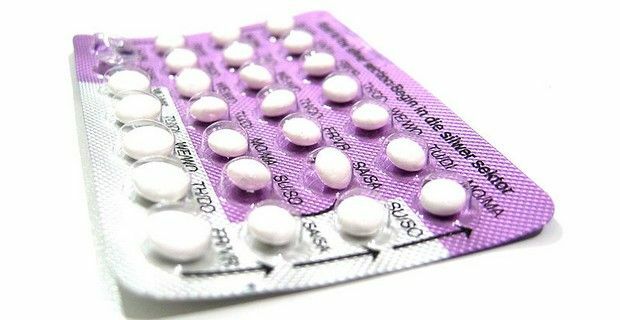 The findings found that women who had used oral contraceptives - without differentiating between low-estrogen or regular birth control pills - for longer than three years were two times more likely to have been diagnosed with glaucoma. Previous research has shown that estrogen may play a significant role in in the development of glaucoma, and that glaucoma risk increases after menopause, when estrogen naturally becomes lower. Glaucoma risk factors include: age, race, family history of glaucoma, a history of increased eye pressure, plus certain medical conditions, such as diabetes, heart diseases, high blood pressure and hypothyroidism and the long-term use of corticosteroids. "This study should be an impetus for future research to prove the cause and effect of oral contraceptives and glaucoma," said Dr. Shan Lin, lead researcher and professor of clinical ophthalmology at the University of California, San Francisco. "At this point, women who have taken oral contraceptives for three or more years should be screened for glaucoma and followed closely by an ophthalmologist, especially if they have any other existing risk factors."